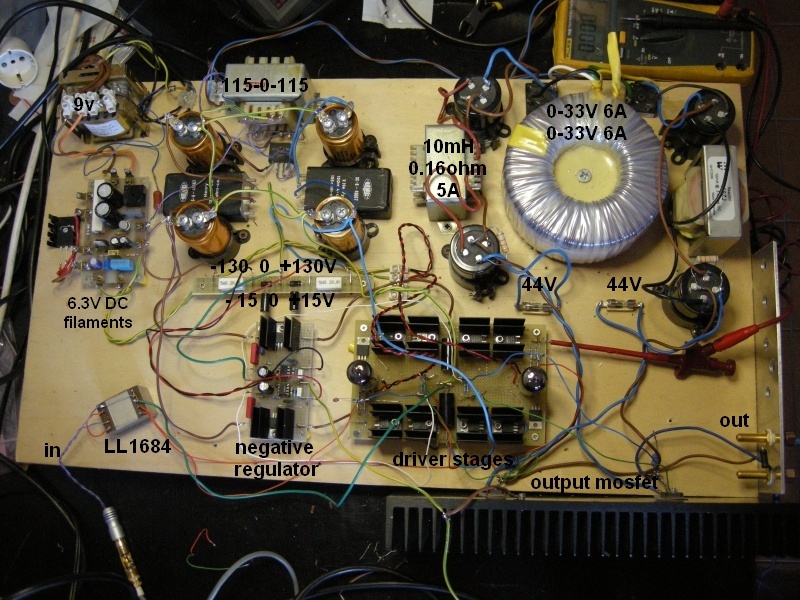 This amplifier born to try if it is possible increase the sonic performances of the Amplifier End. It is the result of about 6 months of simulations and instrumental testing. This design is inspired to the Circlotron US patent n. 4229706 by James W. Bongiorno and to the Thorens TEM 3200 by Frank Blöhbaum. The DC servo loop has been design by my friend Marco Ferrari Bortolini with lot of experience on this type of circuits and this servo does not follow the Frank Blöhbaum European patent n. EP1548934B1 (english). I have used the LTspice IV free simulation tool to design and optimize this circuit.